It's only two days until Valentine's Day and I have got the perfect cookie for you. 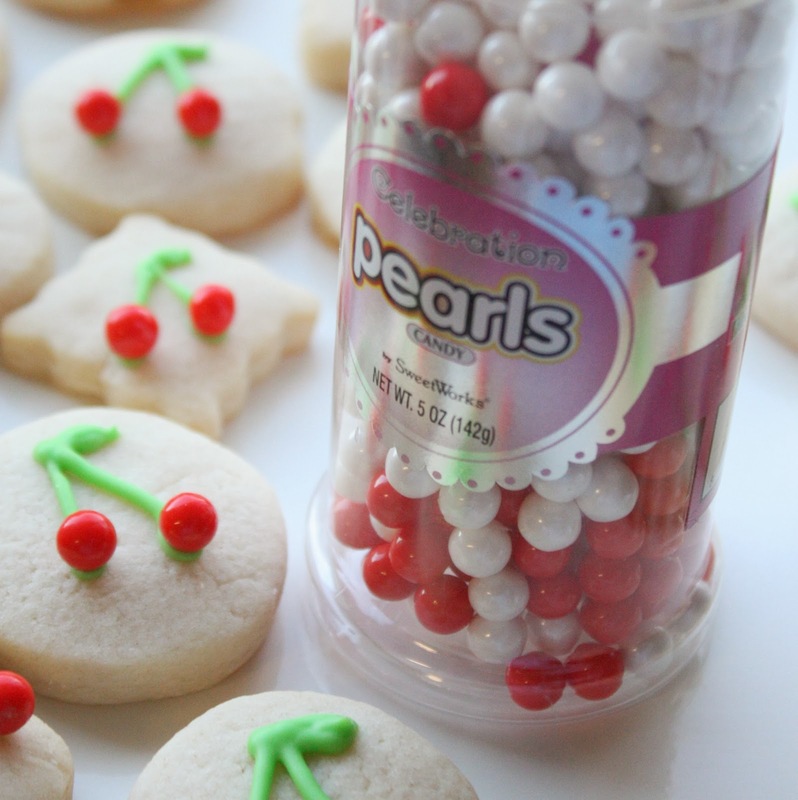 It may be the most easy-peasy cookie ever! It was especially easy because I had these small cookies stored in my freezer for another project (which never happened). Yippee! right on my kitchen shelf! A couple of months ago my sweet friend, Heather (Sprinkle Bakes), had included them in an order as a little birthday surprise:) Don't they make perfectly cute cherries!?! Did I mention how easy these cookies were to make? 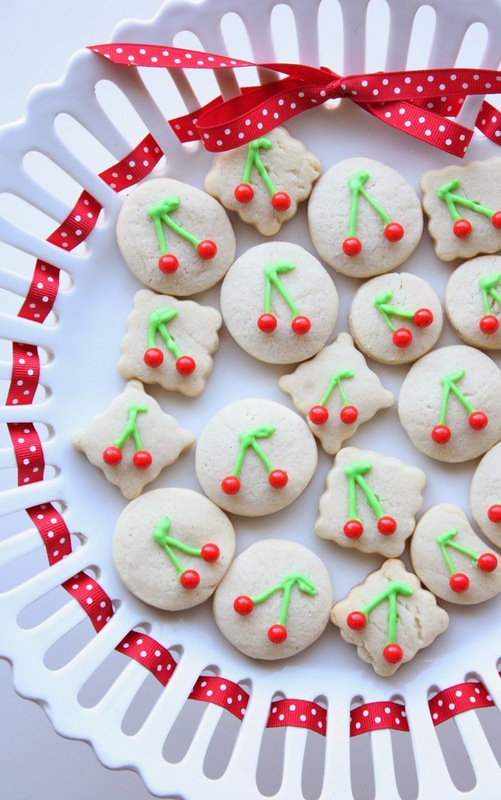 As I said, I don't care for fresh fruit cherries, but seem to love them in any other form~ cookies, fondant, candy, cute graphics (especially with smiley faces)...you get the picture. Let dry, making sure the red candies have adhered completely. Have a Cherry Happy Valentine's Day! So, so, so cute! 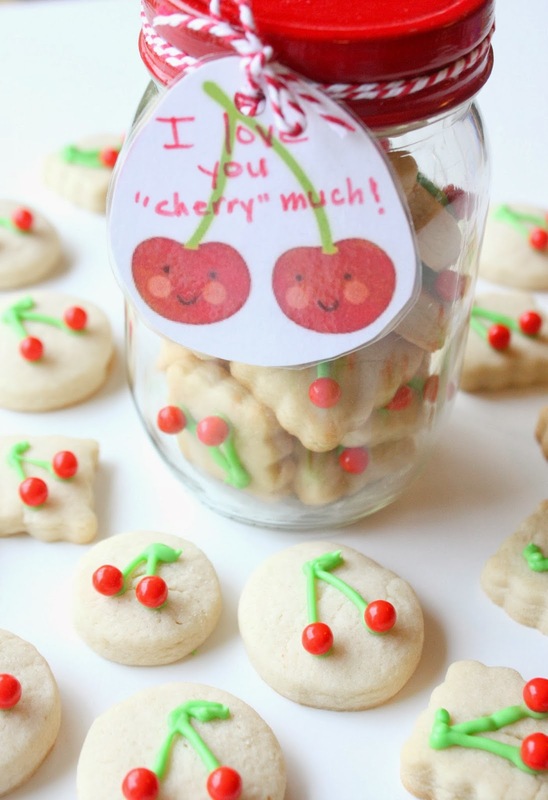 Cherry treats are a favorite of mine... loving this idea! These are... oh, my... so sweet and romantic!! I loved that cherry on biscuits....!!! You're great! Lots of real love for you!! What a cute and easy last minute Valentine's Day treat. Sooo sweet :) I love cherry everything! The simplicity is perfect ... love the packaging too! Ugh I can't take the adorableness! So cute! I love what you did to make the cherries! Thanks for sharing! Darling, Sue - Just darling! Hope you had a LOVE-ly Valentine's Day! I simply adore these! You are so cleaver! Pinning now. Oh my gosh...I work for a cherry plant...these would be a big hit there!